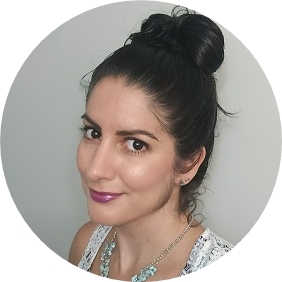 My summer divalicious sample box arrived in the mail today and I wanted to share what I got with you. In my last box my main dislike was the amount of bar soap. Going through the list of contributors there didn't seem to be quite as many soap company's this time around so I gave it another shot. Here's what came in my box. First up is a full size sugar scrub from Raw Love Body. It smells quite nice and I always love a good scrub. 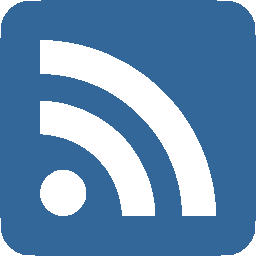 I'm really happy with this product. 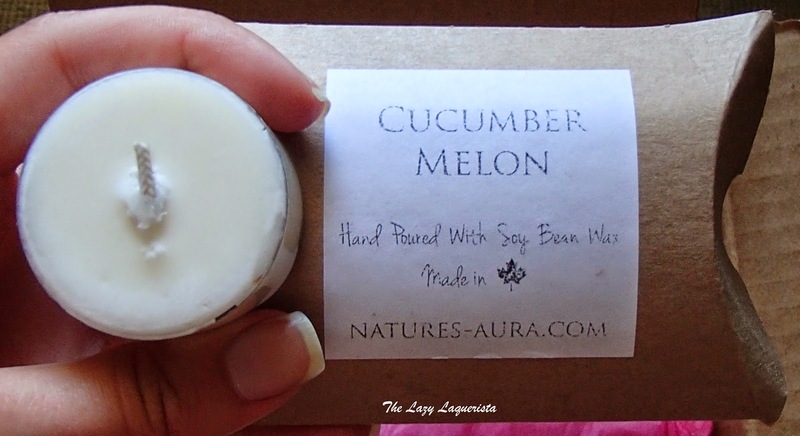 Nature's Aura Cucumber Melon tea light. I really don't use candles much but if nothing else I can use it in a pumpkin at Halloween. 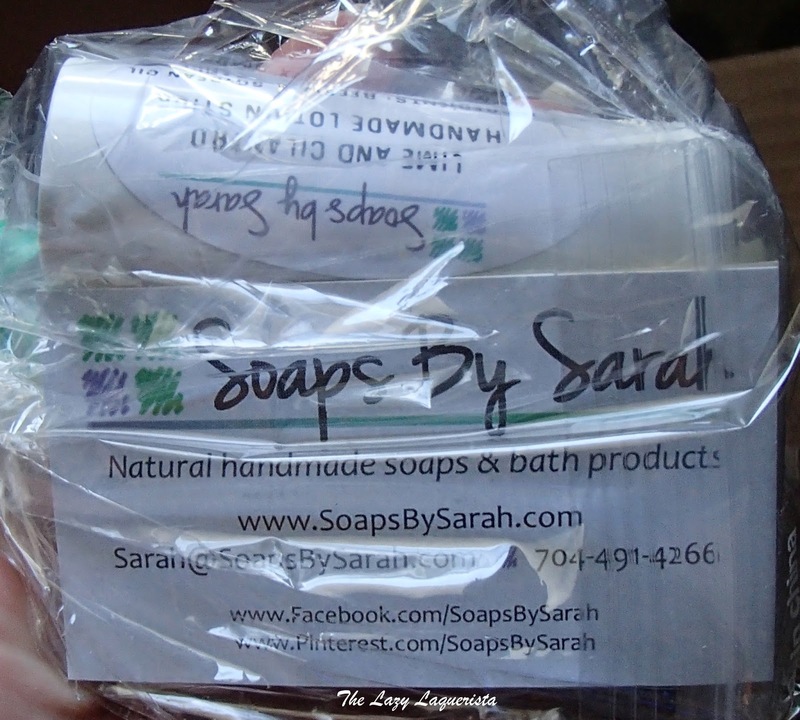 This pack from Soaps by Sarah has a Lime and Cilantro solid lotion stick as well as two small soap bar samples. 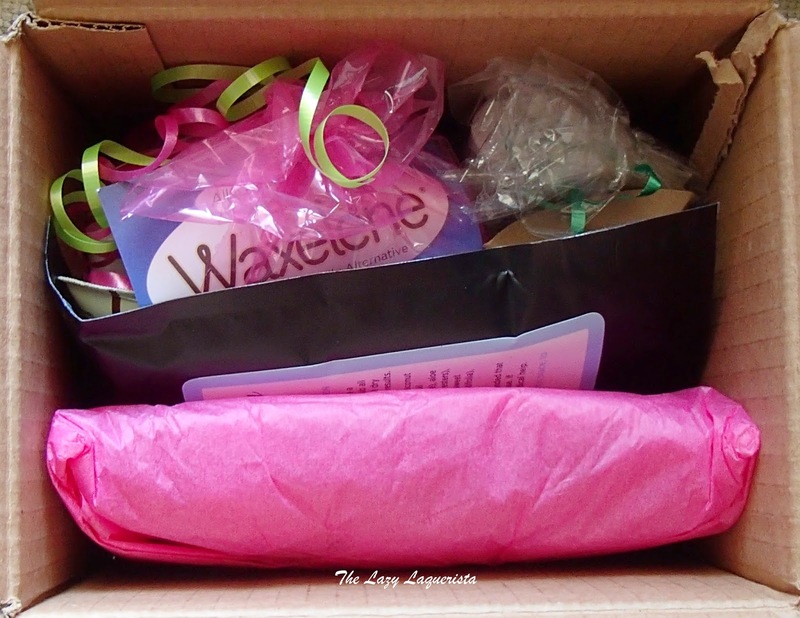 I'm looking forward to trying the lotion stick and I don't mind small soap samples since I will actually be able to go through them. Routine natural deodorant which contains no aluminum zirconium, aluminum chlorohydrate, parabens, triclosan or propylene glycol. 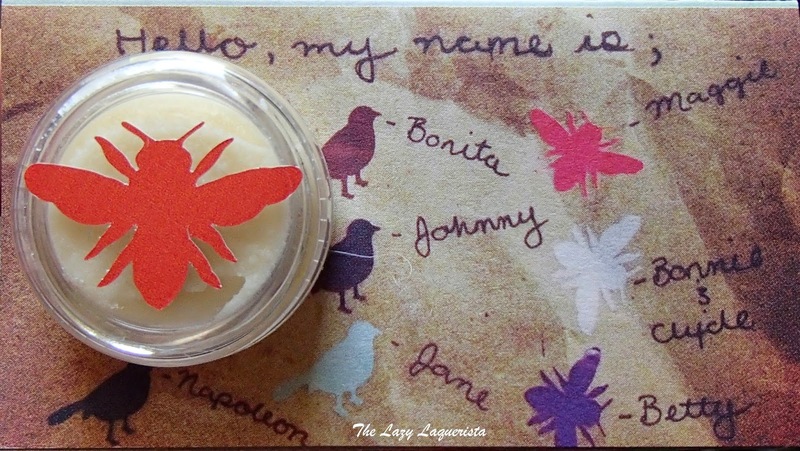 I got the beeswax formula to try. Considering I normally use the clinical strength drugstore antiperspirants I don't think this will do the trick but I will definitely give it a shot. 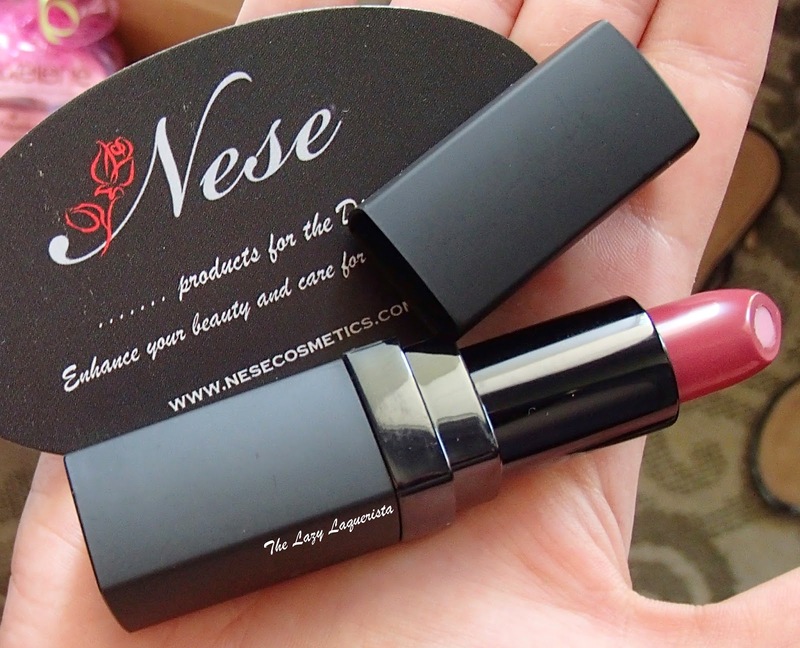 Nese Cosmetics lipstick. My only problem with this is that it doesn't say the shade name on the tube. Based off of their website *I think* it's Mocha Glaze. 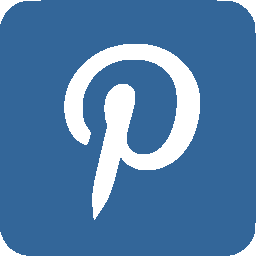 The colour is really pretty and I love that it has a moisturizing balm going right down the center. Really looking forward to giving this one a try. 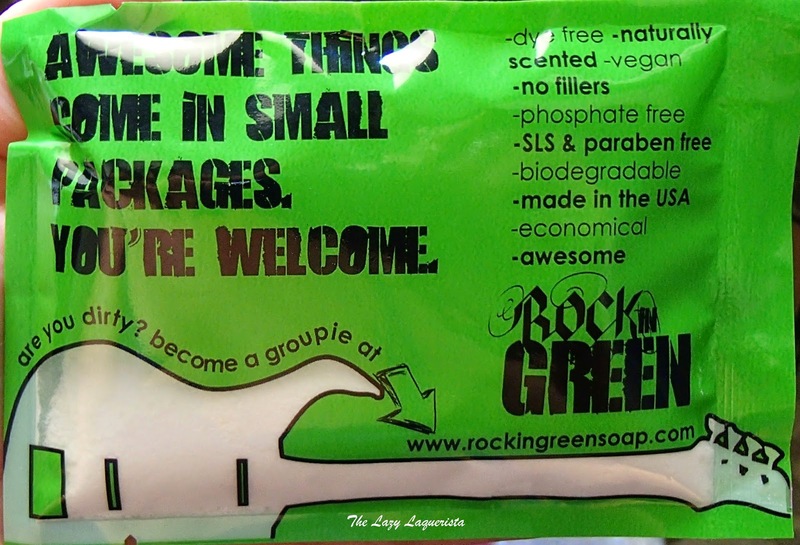 ROCKin GREEN laundry soap. Everyone does laundry so this will definitely get used. 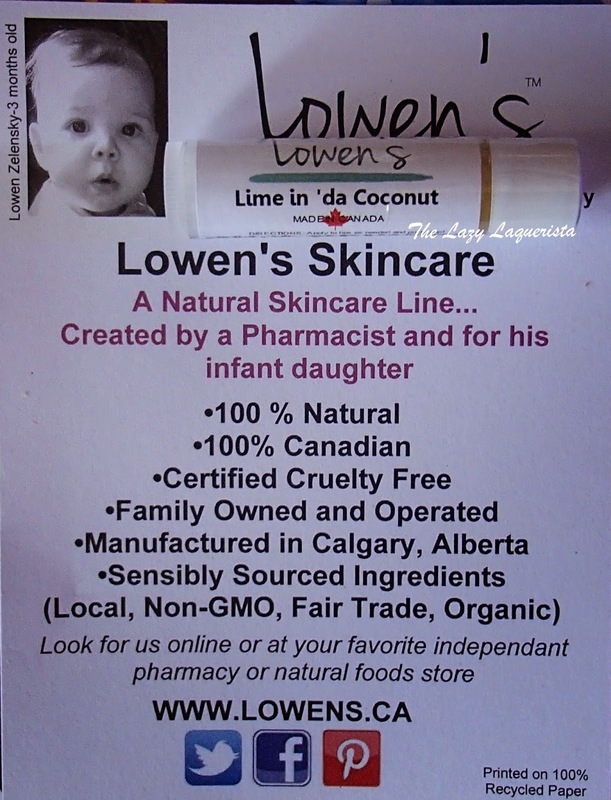 Lowen's Line in 'da Coconut lip balm. I love citrus smells and I love coconut so I'm glad I got this one. I also love that it's a stick and not a pot. 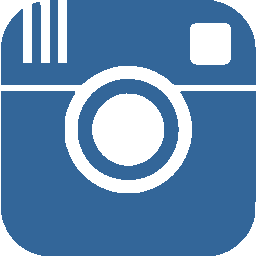 Waxalene tube. I'll probably use this on my dry heels. Koche Coco Lemon lotion. I can always use more body lotion since I go through it like crazy. More citrus scents too which I love. 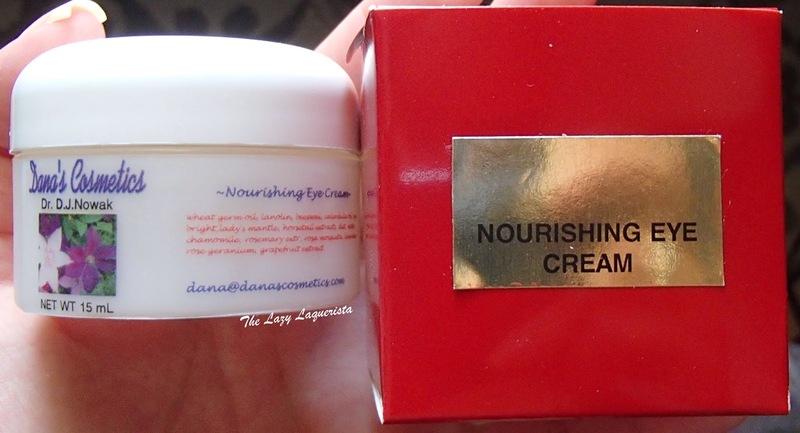 Dana's Cosmetics Nourishing Eye Cream. I will admit, I only use eye cream when it's free or comes in a box like this. I'll definitely give it a try though. 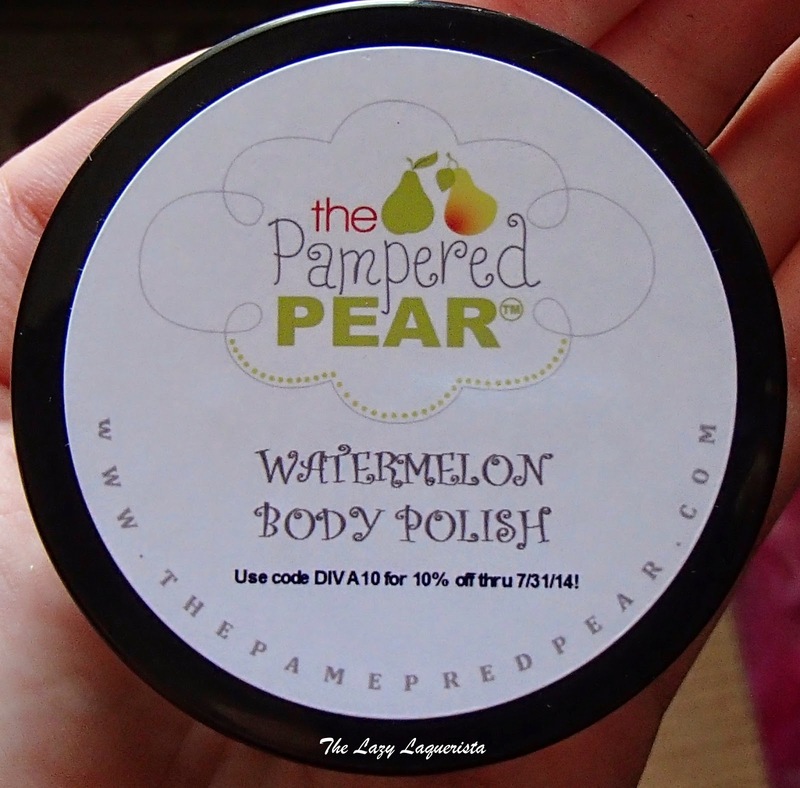 The Pampered Pear Watermelon Body Polish. As I said before, I love scrubs, so I'm definitely looking forward to using this. 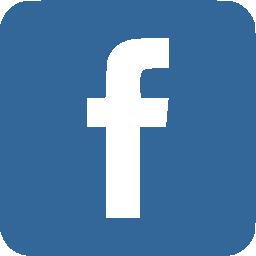 Just'a Spray personal odour eliminator. Everybody goes to the bathroom. Get over it already. This seems like the Just A Drop from the last box but in spray form. I don't think it fits with the theme of these boxes and I'm probably just going to toss it. 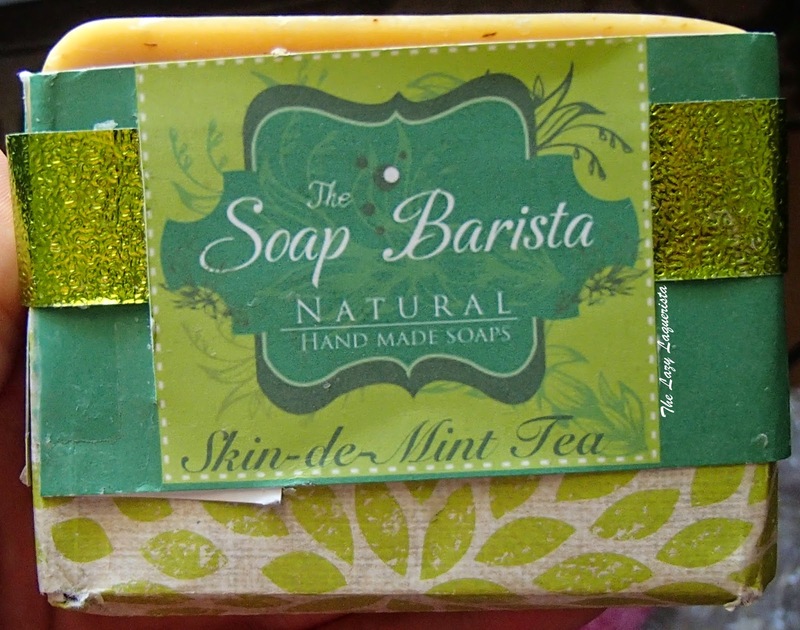 The Soap Barista bar soap in Skin-de-Mint Tea. I'm not a huge bar soap user. I've been using it lately as shaving lather and that's likely how this one will get used up too. 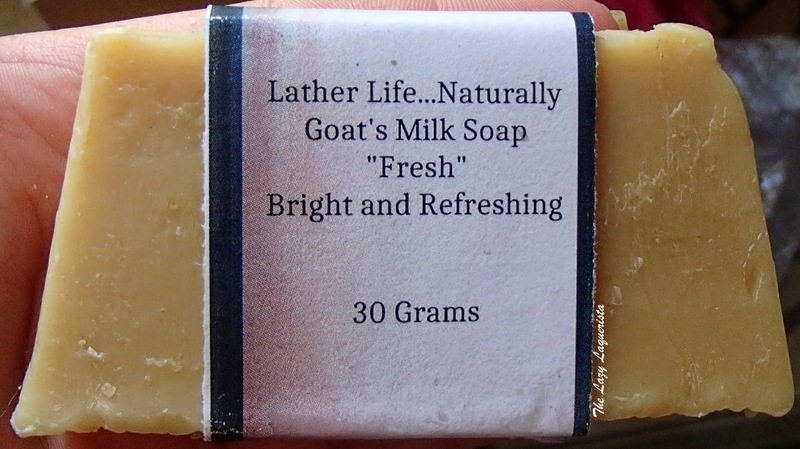 Lather Life...Naturally Goat's Milk Soap in Fresh. Like with the soap above, this will end up being used as shaving lather. Demes Butter Me Up moisture stick in cherry. This smells delicious. It reminds of of cherry lipsmackers. 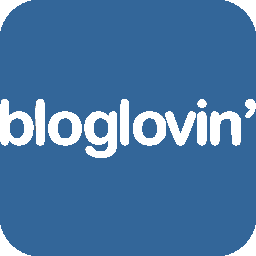 I'm looking forward to trying this product out. The only thing I'm a little worried about is the cardboard tube packaging. I don't think it would deal with moisture or humidity well so I'll have to make sure to store this outside the bathroom. DSO Soaps and Such Tropical Freesia Lotion. Again, lotion is something I go through a lot of so this will definitely get used. I'm really happy with this box. First off... way less soap! I think I got twice as many bars in the last box. Second, no lavender! I know these boxes aren't customized and this was just luck of the draw but I'm really happy I didn't get any lavender scented things like I did last time. For $27 I definitely think I got my money's worth. If you want to find out more about these boxes check out http://www.sweetdelight.ca. I will definitely be purchasing again.